Poised magnificently on the edge of Oak Glen’s untrammeled mountainscape community is the highest individually owned mountaintop compound in Southern California: The Eagle Crest Mountain Estate. 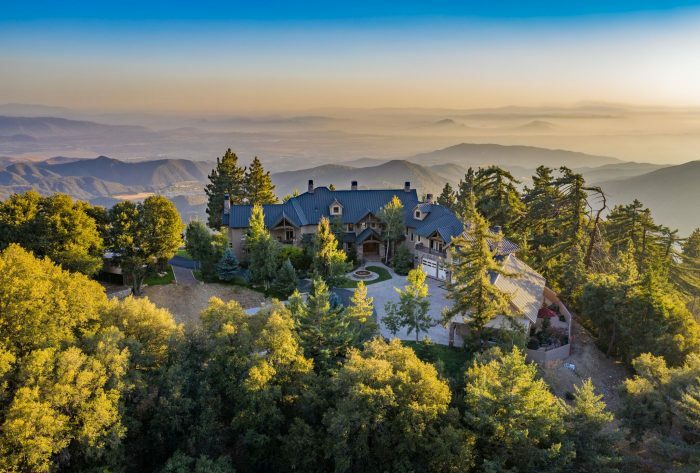 Ascending from 5,000 to 9,000 feet on an exclusively-owned parcel of Little San Gorgonio Mountain, the very private and secluded 16,000-square-foot rustic chic chalet boasts a 4100-square foot garage with workshop along with 845 contiguous acres of land that afford its owners a fulfilling lifestyle immersed in luxury amongst Southern California’s most naturally secluded setting. Stunningly well-appointed interiors are framed by far-reaching vistas that span from the surrounding landscape to Mount San Jacinto, the Salton Sea to the east, San Gabriel Mountains to the west and Palomar Mountain to the south, all while setting an entirely new benchmark for mountain living just an hour from Palm Springs and Los Angeles. And while the Eagle Crest Mountain Estate is an abundant offering in and of itself, the ownership opportunity goes far beyond the seemingly boundless 845 acres. With the purchase of Eagle Crest Mountain Estate comes a fully-operating Buffalo Ranch, two barns, caretaker’s home, stocked fishing pond and endless backcountry trails replete with Redwoods, Sequoias and full water rights, tested and approved by Arrowhead Water. Also included in the offering is the four-star rated, full-service Oak Glen Steakhouse & Saloon, sitting on nearly 2.75 fully-landscaped acres in the heart of Oak Glen. 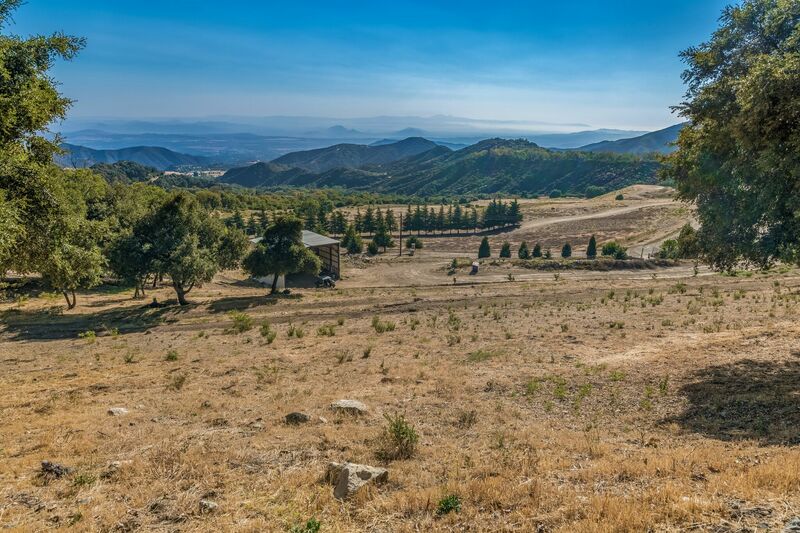 As such, the purchase of Eagle Crest Mountain Estate, Buffalo Ranch and multiple business ventures in the midst of Southern California’s premier Apple Country represent an incredibly rare, once-in-a-lifetime ownership opportunity. Eagle Crest Mountain is offered at $26,000,000 by Craig Strong.